The definitive account of Whitney Houston’s astonishing life, ground-breaking career, and tragic death — complete with never-before-seen photographs — from the only one who truly knows the story behind the headlines: her mother, Cissy Houston. 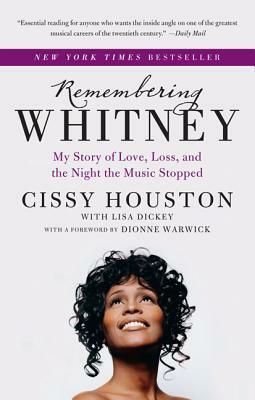 Cissy has said little publicly about Whitney’s heart-breaking death. Now, for the first time, she opens up and shares the unbelievable story of her daughter’s life, as well as her own, and addresses Whitney’s brightest and darkest moments. A legendary Grammy Award–winning gospel singer in her own right, Cissy Houston shows how the lessons from her own musical journey helped to shape Whitney’s career — from teaching Whitney to use her voice, to keeping her level-headed throughout her meteoric rise to fame. With candor and respect, she sets the record straight about Whitney, exploring both her turbulent marriage and her misunderstood struggles with drug abuse. Cissy goes behind the tabloid headlines to show fans around the world the true, human side of a strong, successful — yet flawed — musical icon who died much too young. Cissy Houston is a Grammy Award-winning soul and gospel singer and the mother of the late superstar Whitney Houston. Lisa Dickey has been a freelance ghostwriter and book doctor since 1997. She has helped write and edit fourteen nonfiction books, including seven New York Times bestsellers. Disarming… In the emotionally tangled “Remembering Whitney,” the elder Houston - still clearly working out her grief - is a fiercely protective mama bear to the memory of her damaged cub, but she also refuses to lionize her. She paints a picture of her daughter’s life… that is both triumphant and anguished.